This paper seeks to identify the risk factors of fear of childbirth (FOC) and posttraumatic stress disorder (PTSD) related to birth and reviews the efficacy of their respective screening tools and therapeutic interventions. Biofeedback, hypnosis, internet-based cognitive behavioral therapy, and antenatal education are promising treatments for FOC. Training midwives to address traumatic birth experiences could help in preventing PTSD. A shorter more pragmatic screening tool for FOC than the Wijma Delivery Expectancy/Experience Questionnaire (WDEQ) is needed. Women with PTSD attributed a mismatch between the expected mode of delivery (MOD) and the actual MOD as the cause of their trauma. 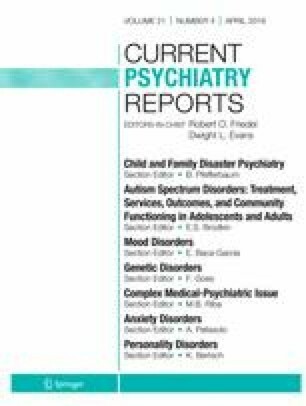 A history of mental health disorders, lack of social support, previous negative birth experiences, and MOD are correlated to FOC and postpartum PTSD. Psycho-education and CBT-based treatments have been found to reduce levels of FOC and PTSD. Dencker A, Nilsson C, Begley C, Jangsten E, Mollberg M, Patel H, et al. Causes and outcomes in studies of fear of childbirth: a systematic review. Women Birth. 2018. https://doi.org/10.1016/j.wombi.2018.07.004. Toohill J, Callander E, Fox H, Lindsay D, Gamble J, Creedy D, et al. Socioeconomic differences in access to care in Australia for women fearful of birth. Aust Health Rev. 2018. https://doi.org/10.1071/AH17271.